An odd one this – I didn’t know just how small it was until I got there. 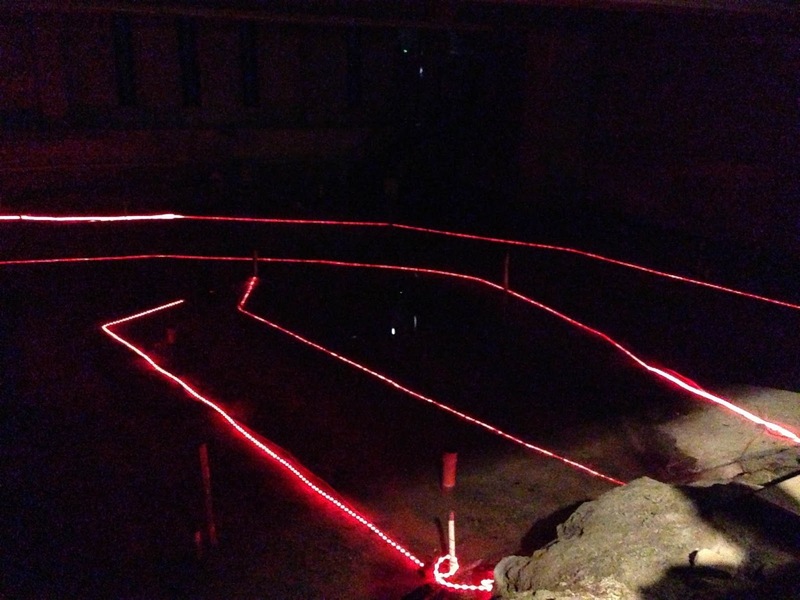 The theatre was preserved under boggy water for hundreds of years, until building work on Bankside uncovered the theatre. I’m sure it was an amazing find, but the exhibition is pretty pointless. When the theatre was discovered, archeologists worked to excavate the theatre – but due to timing and budgetary constraints (along with the fact the surrounding ground began to crack as it was slowly exposed to air), the theatre was covered over once more with water. And that’s how it stands today. 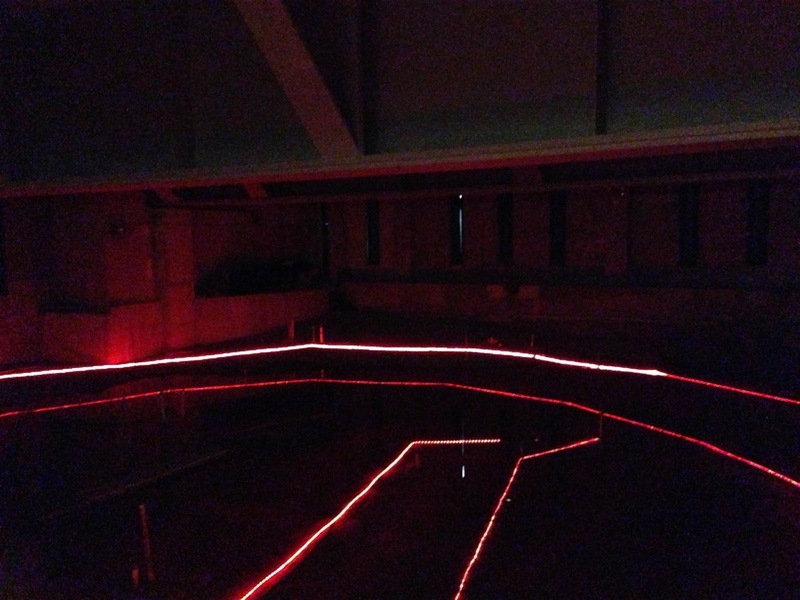 With the theatre’s perimeter highlighted by red strip lighting. 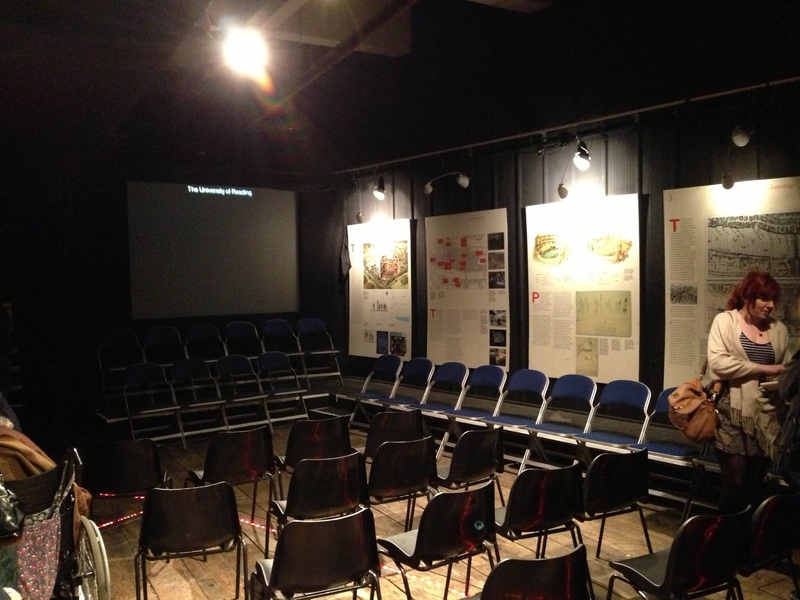 In fact, the whole exhibition is a temporary one – whilst they try and find the funds to restore the theatre properly. #1. The Rose Theatre layout actually provided the inspiration for the main blueprints of the new Globe Theatre. 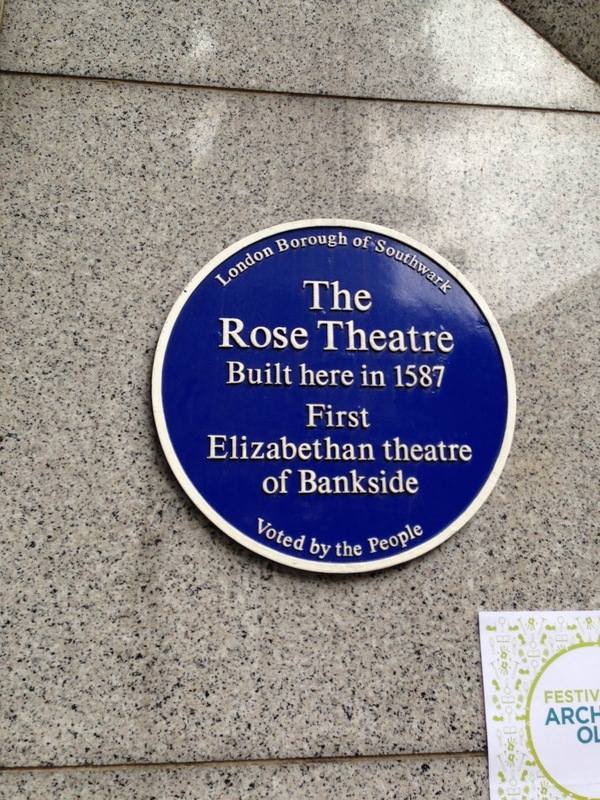 So far so good, except the Globe and the Rose were huge rivals – competing every step of the way in Bankside’s theatre game. #2. The discovery of the Rose was around my birthday, in the summer of 1989. Actors, scholars and the general public rallied to protect the site from demolition – with an atmosphere a bit like a street carnival. The rally even included the last public performance by Laurence Olivier. #4. 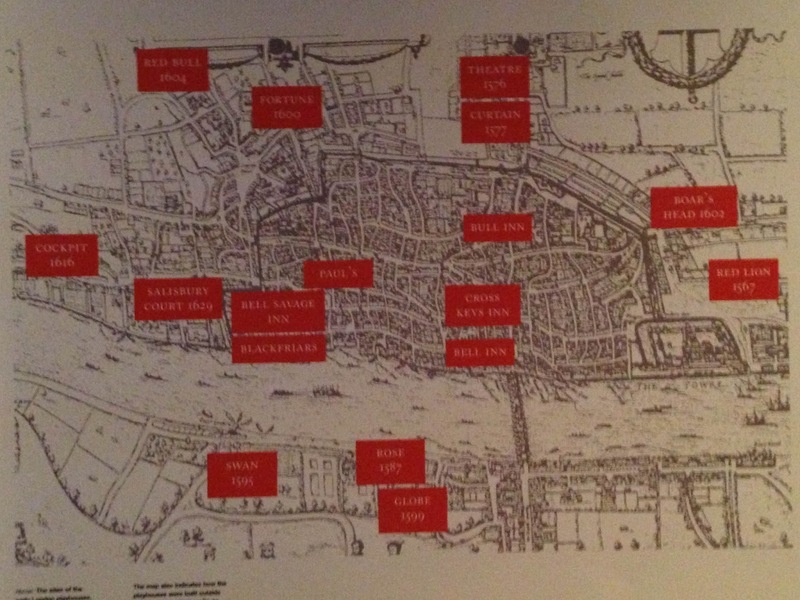 The Rose’s success encouraged other theatres to be built on the Bankside, including the Swan in 1595 and the Globe in 1599. #5. Despite being a very small space, Elizabethan audiences expected to be crowded – and it’s estimated that nearly 2500 people were squashed in for a single performance, with 700 of those each paying to squeeze into the yard for an admission rate of one penny.